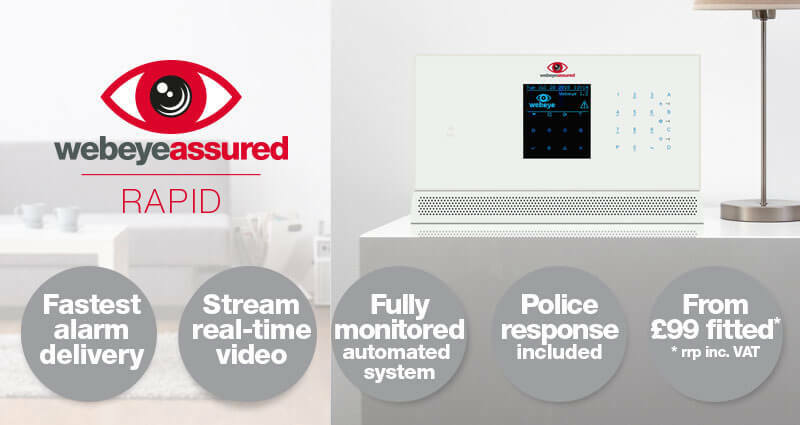 Webeye assured RAPID is our new professional residential alarm and monitoring system. From October it will be available as part of our fully funded installer incentive to help boost your sales! From October it will be available as part of our fully funded installer incentive to help boost your sales! Call 0115 714 9990 / 01623 541411 to find out how you can benefit from this fantastic deal.